Across 2 Cultures - Cross-Culture Parenting and Lifestyle Blog: "Laetitia, grosse fille." In the last couple of weeks, Laetitia and I will have this little conversation all the time. "Laetitia, are you a baby?" "No, Laetitia is a BIG GIRL." And one evening during dinner, she started talking to herself (as she sometimes do) and then she said, "Laetitia, not a baby, big girl" and then she looks at her papa and said "Laetitia, grosse fille." Etienne and I burst out laughing. Well, technically she is right, big = grosse BUT, grosse means fat more than big in the sense that I meant when I told her she is a big girl. So, her papa has been telling her that she is a "grande fille". And the funny thing was, one evening she went to one of the caregivers in the daycare and told her she is a "grosse fille" and this lady is really slim. I had to explain that Laetitia meant to say she is a "grande fille". :p These funny stories really make my day. She is turning into a little lady now. She is very sweet and caring with her toys. 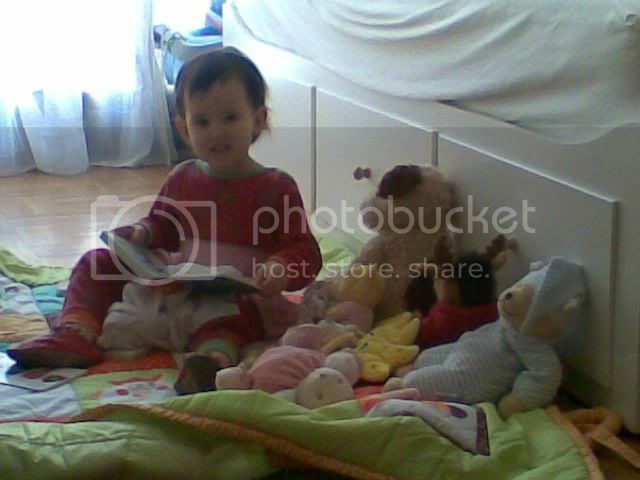 Patting her dolls and stuff animals, kissing them and asking if they slept well. As we pray before our meals, Laetitia now would say "Merci Jesus" as she sits to eat her food. It really touches my heart and I pray that she will get to know God personally. There was something in particular that I wanted to blog about but I totally forgot about it. It happened this morning and it was something sweet that she said/did. I think I'll have to keep a little notebook to record these little incidents. Anyways, here are some photos to share. 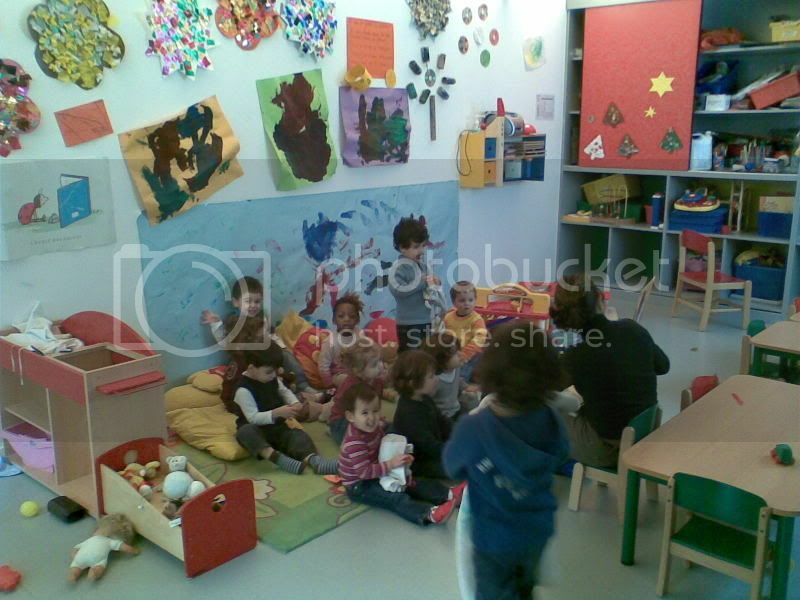 The children being read to in the daycare. 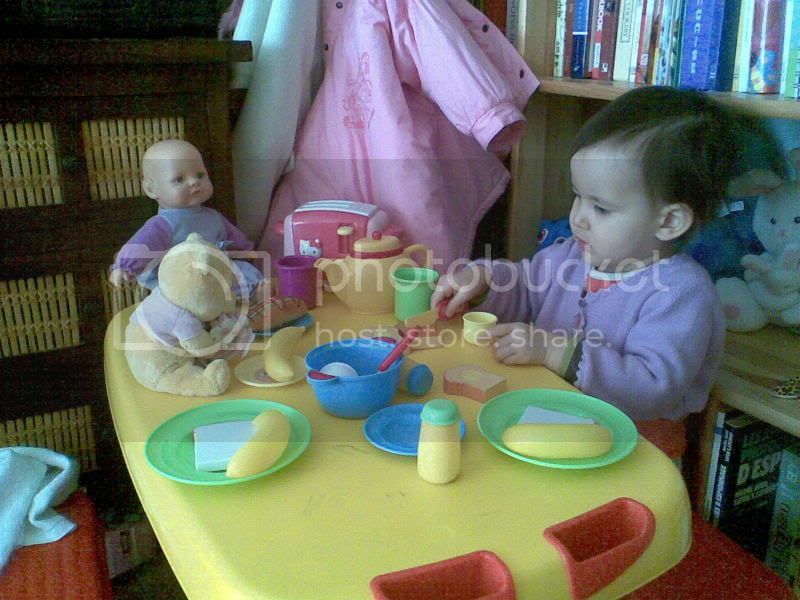 Laetitia reading to her stuff animals and doll.